My research interests and educational background are interdisciplinary. My higher education covers Social anthropology, Middle Eastern studies, Science of religions and Culture, Environment and Sustainability Studies. During my university studies I became particularly intrigued by poststructuralist and posthumanist perspectives on nature-culture relations. These inspirations led me to STS and to the study of human-animal relations and the role of science, technology and politics in shaping and framing such relations. Humans depend upon animals in various economic and cultural practices, a view that emphasises how the world is never only about humans, but about humans in relation to non-humans and the various ways in which these relations are managed, conceptualised and worked upon. My published research explores among other things the development of material and ethical infrastructures of animal research and the ways in which science and technology engage with a politics of life across species. More recently, I have worked on issues related to infectious diseases, global risk containment, and public health communication. I enjoy and benefit from teaching and supervision. In recent years, I have lectured on Science and technology studies, multispecies biopolitics, and biosecurity in the TIK and ESST master programs. I have been the Program coordinator of the TIK and ESST master programs since fall 2017. PhD in science and technology studies, TIK and the Ethics Programme, UiO: 2008-2012. Research assistant, TIK, UiO: 2006 - 2008. Research assistant, Forum for University History, UiO: 2006 - 2008. Assistant on the book project on the history of University of Oslo 200 years. Bjørkdahl, K. & Druglitrø, T. (2019). "When Authority Goes Viral: Digital Communication and Health Expertise on pandemi.no". In (eds.) Bjørkdahl, K. & Carlsen, B., Pandemics, Publics, and Politics - Staging Responses to Public Health Crises. Palgrave Pivot. Druglitrø, T. (2017). ""Skilled Care" and the Making of Good Science". Science, Technology and Human Values. Special Issue: Science, Culture and Care in Laboratory Animal Research, 43(4): 649-670. Online First January 5 , 2017: https://doi.org/10.1177/0162243916688093. Asdal, Hinchliffe, and Druglitrø (eds.) (2017): Humans, Animals and Biopolitics: The more-than-human condition. Routledge Publishing. Asdal, K. & Druglitrø, T. (2017). "Modifying the biopolitical collective: The law as a moral technology and site for the realization of animal sentience". In (eds.) 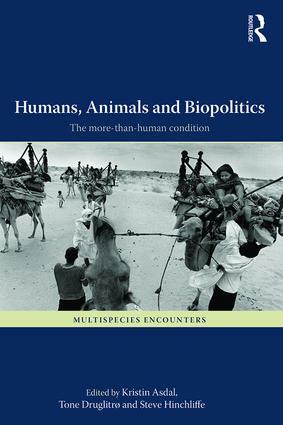 Asdal, Druglitrø and Hinchliffe: Humans, Animals and Biopolitics: The more than human condition. Ashgate Publishing. Lundblad, Michael & Druglitrø, Tone (2017). Ebola Zombies and Terrorist Animals? : Welcome to World War Z. The BIODIAL Blog. Bjørkdahl, K. & Druglitrø, T. (eds.) (2016): Animal Housing and Human-Animal Relations: Practices, Politics and Infrastructures. London: Routledge. Druglitrø, T. (2016). "Care and Tinkering in the Animal House. Conditioning Monkeys for Norwegian Poliomyelitis Research". In (eds.) 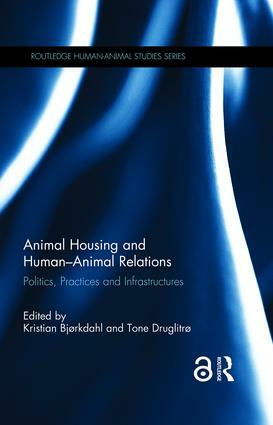 Bjørkdahl, K. & Druglitrø, T., Animal Housing and Human-Animal Relations: Practices, Politics and Infrastructures. London: Routledge. Asdal, K. & Druglitrø, T. (2014). "Arbeid på grensen. Veterinærprofesjonens arbeid for jurisdiksjon og velferd". In (eds.) Messel, J. & Slagstad, R., Profesjonshistorier. Oslo: Pax Forlag. Druglitrø, T (2013). "Motstand mot "forstanden": Kontroversen om forsøksdyr og forsøksdyrutvalget i Norge på 1970-tallet". In Materialisten. Tidsskrift for forskning, fagkritikk og teoretisk debatt, 40(3). Humans, Animals and Biopolitics. The more-than-human condition. Routledge.